It is really important to look after your credit score. Your credit score contains information about all your credit accounts, current and settled. Most accounts show on your credit report for around six years, and so influence your report. This short article will help you to get started thinking about how you can improve your credit score, and use a credit card to do so. There are several factors that influence your report. The most common negative influence occurs when you default on a payment. This is usually reported to the credit reference agencies that record this as a negative foot print on your account. The more you default on payments the poorer your score will become. Other reasons for a poor credit score include making too many credit applications around the same time. Having a high number of credit accounts open at the same time can also have a negative impact on your score. Also, you may simply have not opened many credit accounts. This is something that many people find difficult to understand. However, if you have little credit history then organisations find it difficult to quantify the risk that you pose, and so you may find yourself having a low score. There are a few things that you can do to increase your credit score. Firstly, make sure that you are on the electoral roll at your current address. It is also worth checking that this is linked correctly to your credit report. You can check your credit report at Clearscore completely free. You can also close any accounts that you are not using. Credit cards are an excellent way to build credit, providing that you use them wisely. If you have several credit cards with a little amount on each, then transferring the balance on to one card and closing the rest of the accounts can help improve your score. There are many credit cards currently available that have excellent 0% balance transfer offers, and relatively small one off fees for transferring a balance. If you can get one of these, not only are you not paying interest for a designated period, but transferring all your debt onto one card and cancelling your other accounts will help improve your score. There are also some credit cards available that are specially designed to help build your credit score. These cards often have a high interest rate, so they are not suitable for balance transfers in the same way as the longer term 0% cards are. A great place to find a credit card for your credit profile is to use a credit report website such as www.clearscore.com. 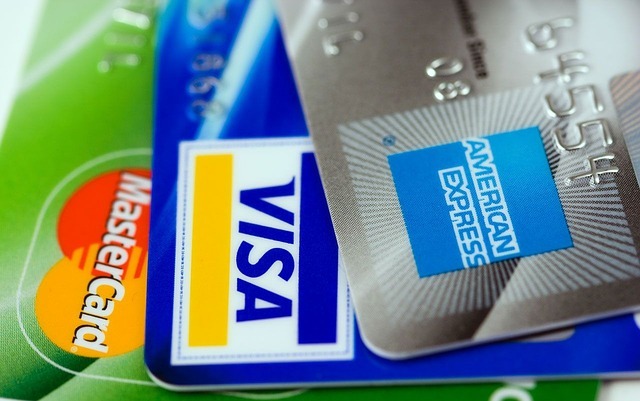 This will enable you to see what cards are potentially a match for your credit profile. Alternatively, use a comparison site such as GoCompare to see your likelihood of being accepted for such cards, without reflecting it on your credit score.